July | 2013 | POMS AWAY! Yes, I’m writing about another gorge. 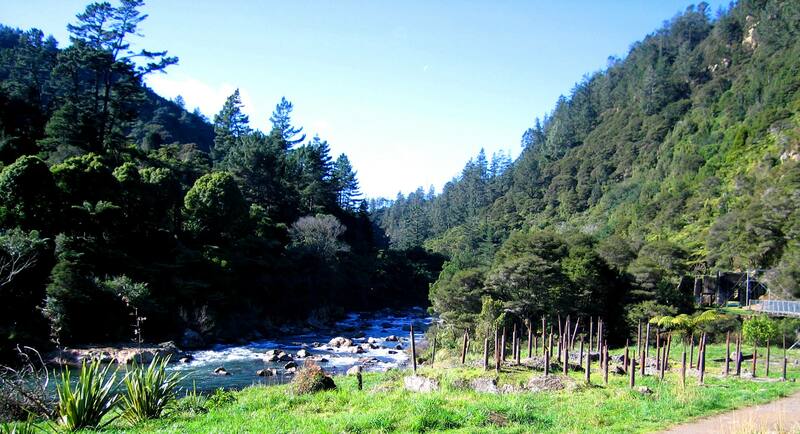 Karangahake Gorge last week, Taieri Gorge this week – I seem to be gorging myself. 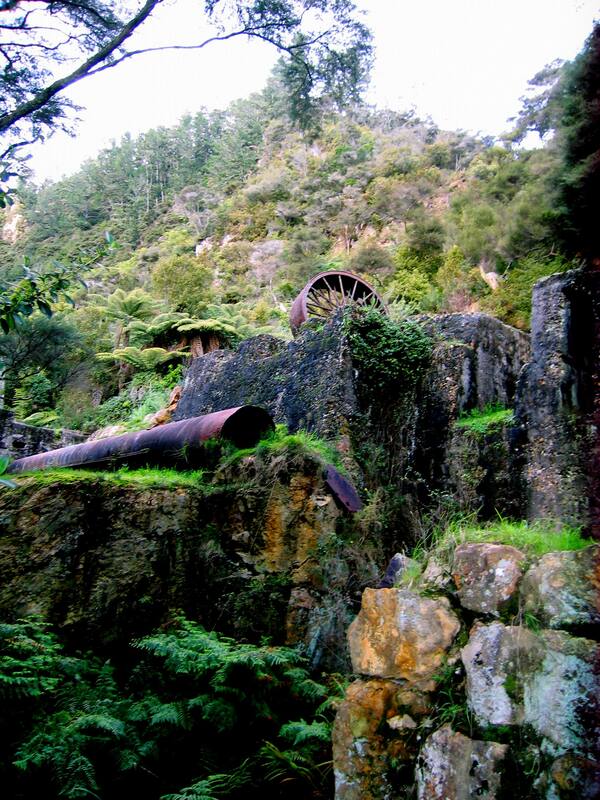 I was just looking through some family photos from ten years ago and was reminded of how pretty Taieri Gorge is. Of course, for me, it could never measure up to Karangahake, but my experience of Taieri was completely different: it was by train. Taieri Gorge is in Dunedin. We went there on our first ever campervan holiday in New Zealand, because my dad is an insufferable train nerd and also, coming from England, we all kind of missed trains, not to mention the beautiful, old railway stations of which there are hardly any in New Zealand. Dunedin has one. 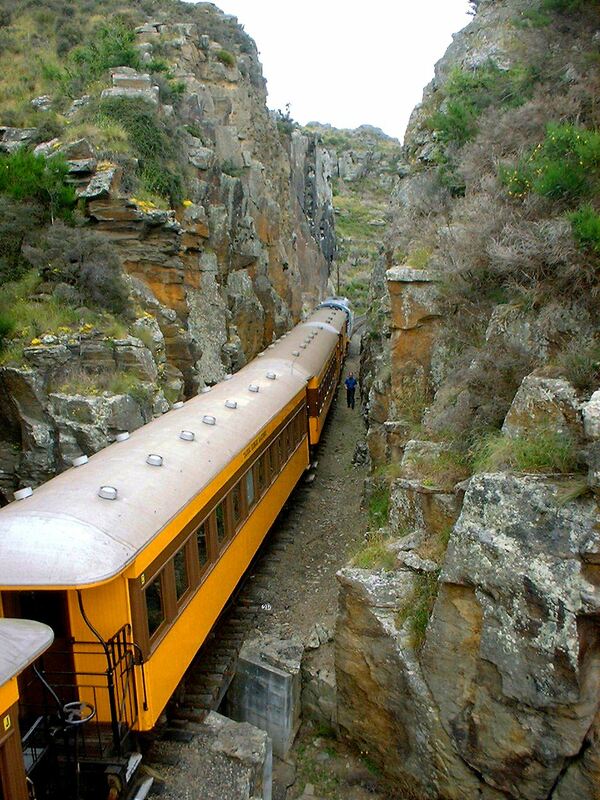 From it, you can catch the Taieri Gorge tourist train, which takes you on an enchanting journey through dramatic scenery. Being twelve years old at the time, I gazed out of the window and imagined I was being whisked away to Hogwarts, which, I suppose, tells you how British the scenery seemed. The journey, for us, was highly nostalgic. As the train chugged along between lush hills and looming rocks, over meandering water and vintage bridges, I went to stand outside, at the back of our carriage. It got a bit chilly with the air rushing by, but it was thrilling, particularly the tunnels. The journey was quite long, so you get your money’s worth, but I imagine a child any younger than I was would get bored towards the end. Luckily, the train stops to let you get out and take photographs, and you can buy refreshments and souvenirs en route. Unluckily, one of the souvenirs – the one that my little sister had to get – is a train whistle, a wooden woodwind instrument that only plays one note in imitation of the ‘choo-choo’ sound that trains make. Imagine that in the hands of a nine-year-old, especially one that used to dress up as Thomas the Tank Engine. Thusly serenaded, we returned to our campervan, eagerly anticipating the next stage of our holiday. Considering this is ten years later, I can safely state that the Taieri Gorge Railway makes for a memorable experience. An hour and a half south-east of Auckland, on State Highway 2 between Paeroa and Waihi, lies one of my favourite places in New Zealand to go walking: Karangahake Gorge. And last week I was lucky enough to go there again. The reason I like Karangahake Gorge so much is its variety. The gorge itself is spectacular, the frothing Ohinemuri River snaking between towering walls of jagged rock crowned by trees and sunlight, but there’s a lot more to it. 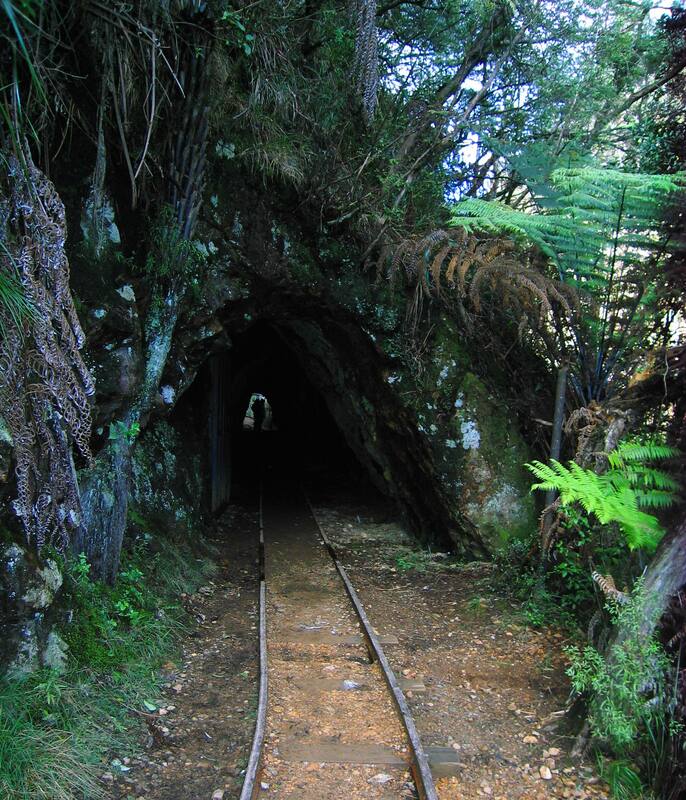 There are long walks and easy walks, walks through bush and walks through abandoned mines and railway tunnels, walks along the river and walks along old train tracks; it’s a tramp through history and a tramp through nature of the awe-inspiring kind. And it’s beautiful. 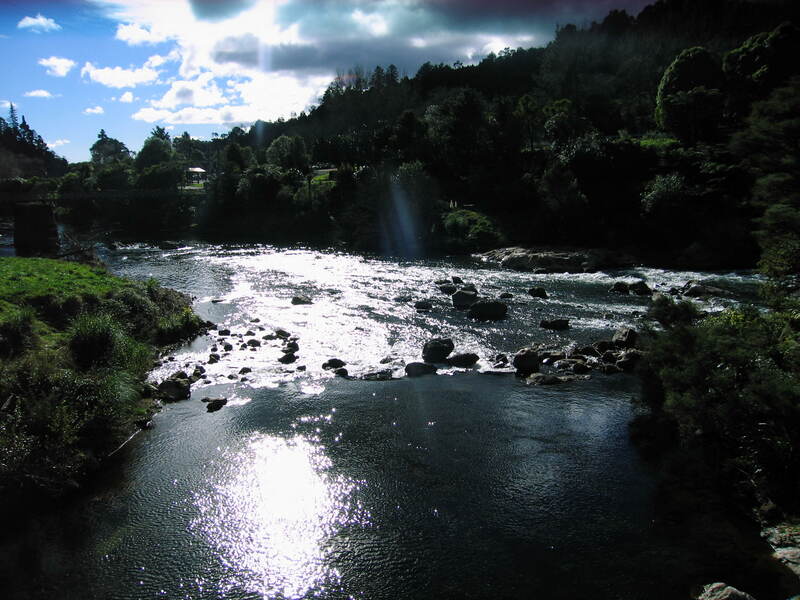 I once went on a class trip that involved the school minivan driving through Karangahake Gorge early on a biting winter’s morning, when it was swathed in frost and pure white mist, and the trees at the river’s swollen edge were like sharp, black hands reaching for the cold sun. I’d never seen anything so lovely. I never tire of driving through the gorge, (which is fortunate because it’s on the main route between my parents’ house and university,) because the river is always at a different level, gambolling between the boulders, hiding and revealing secrets. 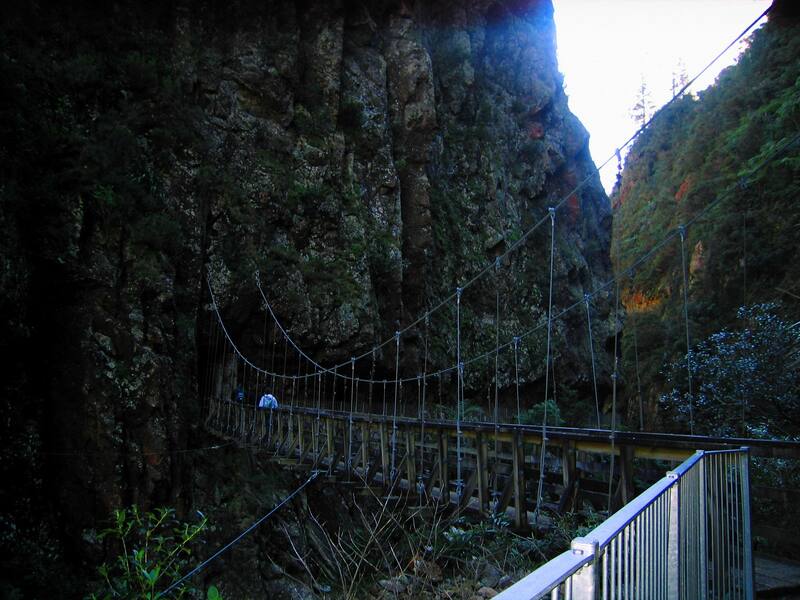 It can be scary driving along the tightly winding road, towering rocks on one side, a nasty drop into the water on the other, but it’s always breathtaking. Last week the sunlight was incredibly bright – so bright I didn’t manage to get any particularly good photos, but oh well. It was still cold. Five of us went: me, my mum, my dad, my sister and my boyfriend, and we left the house only half an hour after we’d said we would, so it was a good start. The drive was pleasant, apart from my sister getting sick on the windy road, and when we arrived we found that, despite it being the middle of winter, there were lots of people there. As usual, the car park was full of campervans. Karangahake Gorge is obviously a very popular New Zealand campervan destination. I saw at least three holiday parks leading up to it and at least two Freedom Camping spots, and the campervan park close to where the walking tracks begin didn’t have a single vacancy – I wouldn’t have thought that would be the case in the middle of winter, but there you go. We couldn’t decide which track to take at first. Should we visit the historic ruins of the Victoria Battery, climb the mountain, do the long walk to the waterfalls, hug the river, or explore the old tunnels by torchlight? I was keen to walk to the waterfalls, but this is best done in summer, as it’s hard to resist jumping into the picturesque pool. It’s the perfect spot for a picnic. You can swim under the little waterfalls and climb into the little tunnel… just make sure you have insect repellent. We didn’t go there this time. We started by crossing the big swing bridge – always fun crossing a big swing bridge, but last week we were greeted by the spectacle of hundreds of fantails swooping and spiralling over the water, no doubt hunting insects. I’ve never seen so many fantails at once – not even close – it was an absolute frenzy! What a wonderful start to the tramp. I stopped to take my first photograph of the day. As it turned out, this was a mistake. While I was taking the photograph, my dad and sister went ahead without me, leaving me with no idea which path they’d taken! Neither of them had a mobile, so me, my mum and my boyfriend were left wondering what to do. In the end, we decided to just choose a path and go, hoping to meet up with them later, which we did, thankfully. But before we did we encountered the tunnel, the kilometre-long former train tunnel – echoing, dripping and very eerily lit. Right before you enter the tunnel at the end we were at, a side path disappears into the bush, accompanied by a sign saying that there’s a winery just two hundred metres away. I wonder how many people have given in. We didn’t, but we were tempted. Instead, we stepped into the dragon’s mouth. The tunnel wasn’t as dark as I remembered it being, but it was still mildly frightening. The ground was uneven and streams ran down either side, and even gushed from cracks in the brickwork at a couple of places. There were a few creepy nooks in the wall, sanctuaries where workers could run and take cover if a train came. It took just that little bit too long to reach the other end. After that, we found the others again. We decided to do the Windows Walk, which is a track that leads through the remains of an old mining operation. 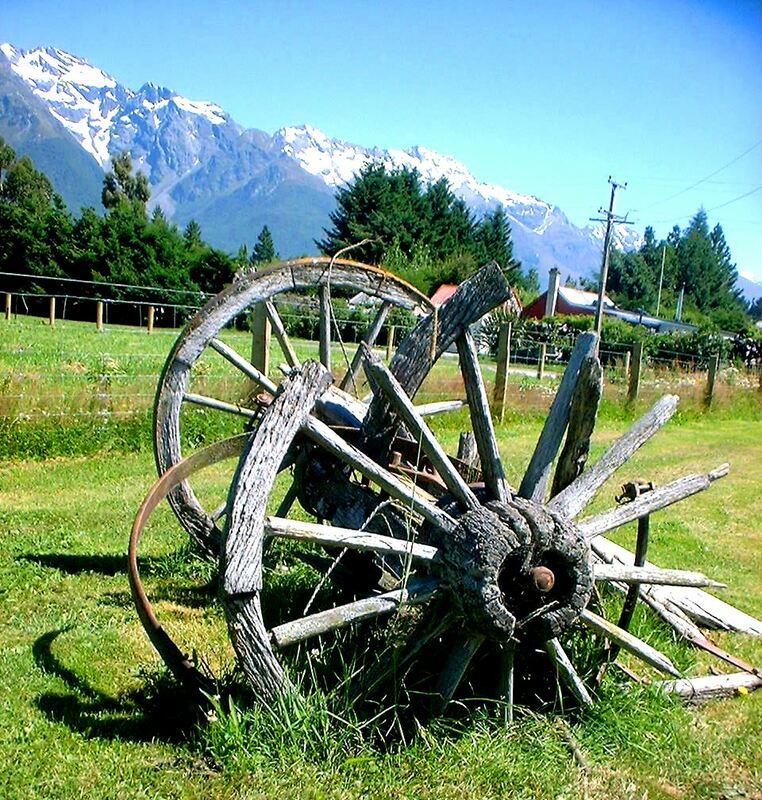 You start off going through the bush, and you begin to notice rusted hunks of metal at the side of the path, maybe a cogwheel or bit of piping. My dad mentioned it felt rather post-apocalyptic. Then you come to a railway track, which would have supported the mine carts, and you start to walk along it like the kids in Stand By Me – it’s irresistible. Then you come to the tunnel. I was taken over by childhood memories of those ‘old, abandoned mine’ rides you get at theme parks. 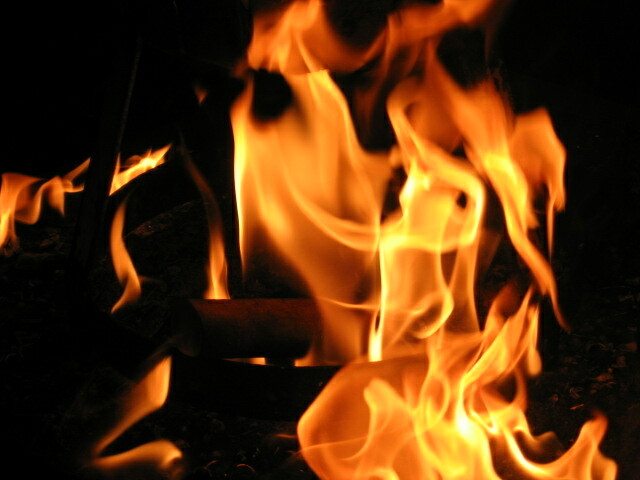 It was time to turn on the torches. 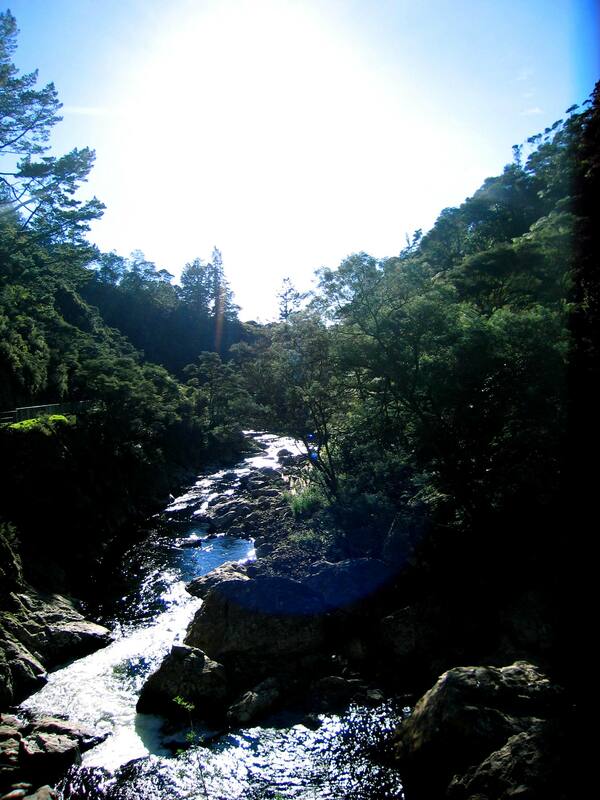 If you ever go to Karangahake Gorge, make sure you have a torch. The reason it’s called Windows Walk is there are ‘windows’ in the tunnel, windows you can look out of directly down at the river. By one of these is a side tunnel, so long and dark I’ve never been bothered enough (or brave enough) to go down it. There’s also an underground pumphouse you can explore, with old machinery in it. By the time we got back to the car park we were well in need of a hot chocolate, so we decided to check out the café across the road and – guess what? 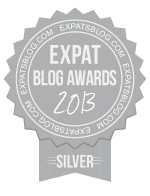 – it’s just about the nicest café I’ve ever come across! It’s not the food that makes it special, (and it did take an unreasonably long time to come,) it’s the way they’ve decorated the place. The garden is like Alice’s Wonderland, and inside there’s a fire, art and crafts, a fish tank, a bird cage and a play area for little kids. The Talisman Café, it’s called. Unfortunately, it was the end of the day and the café only had one hot chocolate left, so we had to fight amongst ourselves as to who got it, and the rest of us had tea. Then we went home. It’s so nice to be able to have days out like this in winter. 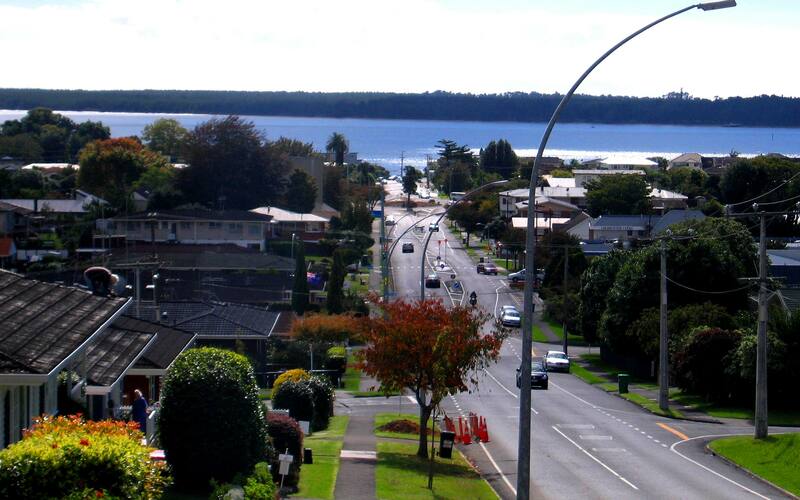 Rotorua is one of the most exciting tourist destinations in New Zealand despite the fact that it smells like rotten eggs! 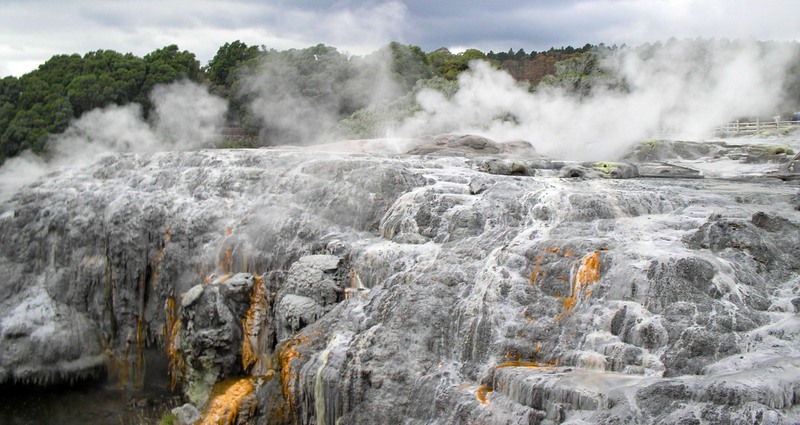 This is because Rotorua is a city bubbling with geothermal activity: hot pools, mud pools and geysers release hydrogen sulphide into the air, which is responsible for the sometimes pungent aroma. Far from being a repellent, the smell adds to the Sulphur City’s charm. It is a constant reminder that you are in another world, one very different, at least, from this pom’s home town in the North of England. Besides, I never thought the smell was that bad – eggs, yes, but not necessarily rotten eggs. In any case, whenever I’m in Rotorua, I always start craving a hearty cooked breakfast. Here’s another difference between Britain and New Zealand: barbecues. If I ever go back to Britain, I’ll miss Kiwi barbecues. They’re awesome. You’ve got the smell of the oil, the smoke, the caramelising meat, the citronella to keep the mozzies at bay, the waft of the cool potato salad as the cling film is lifted off; the cats darting towards us when they realise dad’s firing up the hotplate. And the steak. The STEAK. It’d better be done no more than a minute on each side or so help me! The wine, the lager, the ginger beer for the kids, the kebabs, the sauce, the corn on the cob oozing juices down your chin… I know I’m just listing now, but there’s so much to a great barbecue, and not just the food and the aromas. There’s the sitting around talking as the sun goes down, lighting the candles and the brazier and letting the darkness place a comfortable blanket around us. We feel warmly full and slightly drowsy, drinking and talking and not wanting it to end. Perhaps there’s ice-cream; there’s always laughter. 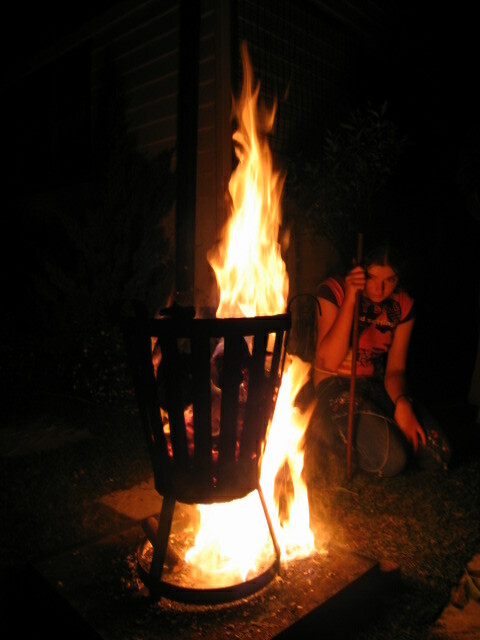 The barbecue is a very typically New Zealand thing, although it is one of the ways in which New Zealand is similar to Australia. (Sorry, Kiwis.) When a Brit does an impression of an Australian, they’ll invariable call people Bruce and say, “Throw another shrimp on the barbie.” No matter how culturally accurate or inaccurate this is, it shows how the act of barbecuing is a very laid back form of cooking, perfect for both Australians and New Zealanders. Of course, we don’t just have barbecues in each other’s gardens. It’s common in New Zealand to have a barbecue on the beach – indeed; a barbecue on the beach is the traditional image of the Kiwi Christmas Dinner. The barbecue is such a Kiwi icon that many beaches, parks and New Zealand campgrounds have permanent barbecues that are free for the public to use. Sometimes there is a small fee, and sometimes you have to book ahead, but it’s a fantastic idea and one that tourists should take advantage of more often. If you ever have a holiday in New Zealand, you absolutely have to have a barbecue. I’ve found it’s a brilliant way to eat when you hire a campervan – it gets you out of the tiny campervan kitchen while retaining that important quality of self-cooked meals: cheapness. You can find a recipe for a Great Kiwi Barbecue here. And it really is the best way to eat steak. Ever since we moved to New Zealand, my dad has been complaining about the standard of driving here, but is it really that much worse than in Britain? (My dad likes to complain about everything.) Let’s look at the facts. 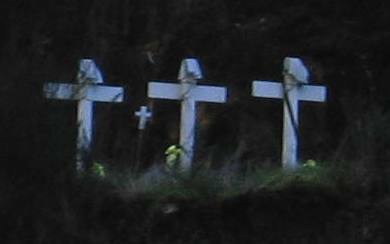 When you’re driving around New Zealand, you see a disconcerting number of crosses at the side of the road, marking where someone died – small, plain, white, wooden crosses. Sometimes you think ‘how did they manage to crash here?’ and come to the conclusion that they must have been drunk. 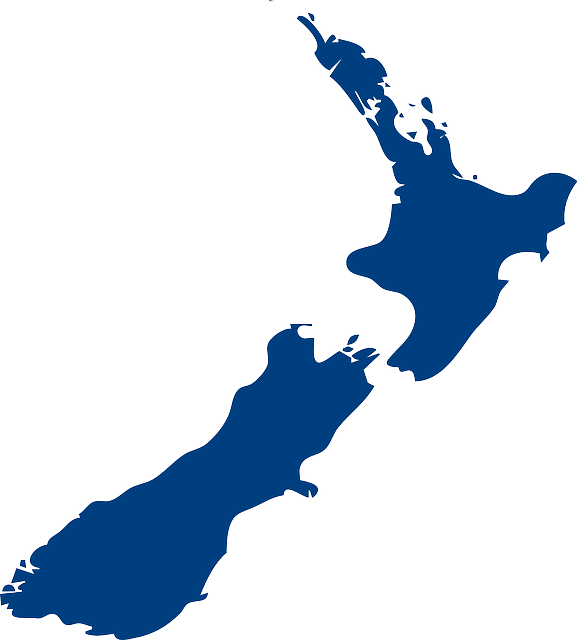 It’s also disconcerting that over the Christmas period the six o’ clock news has daily updates concerning the road death toll, and if New Zealand makes it through the whole holiday with few or no driving-related fatalities, it’s cause for a pat on the back. So, yes, New Zealand roads are statistically more dangerous than British roads, but the standard of driving in general…? This is a somewhat awkward article for me to write, as I can’t drive – I never learned. However, even I’ve observed that drivers in New Zealand tend to be a bit too casual when it comes to using indicators. And there have been too many instances of the green man lighting up, me raising my foot to cross, and a car zooming close in front of me. The driving test is ridiculously easy. When we first moved here, my dad got hold of a CD-ROM that allowed you to practise taking the written learner’s licence test, and my seven-year-old sister passed it with no revision – a combination of luck and common sense, I think. Maybe it comes down to the ‘she’ll be right’ attitude again. Although I’ve found that while that attitude breeds carelessness, it also lessens road rage. There’s more hatred directed towards other individual drivers in Britain than there is in New Zealand, but there’s w***kers everywhere. 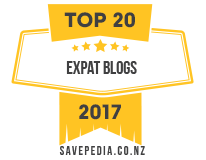 New Zealanders tend to pass the blame onto groups such as ‘campervans’ and ‘Asian drivers’ – groups that are perceived as driving slowly. At least they’re not speeding. I can think of one way that driving is better in New Zealand than in Britain: far less congestion. Oh, and nicer views. I remember the first time our family went on a campervan trip in New Zealand, I made sure I had books to read and my Game Boy Colour with Pokémon Yellow to repel the boredom on the long distances we would be driving… and it turned out I didn’t need them. I spent the whole time staring out of the window with my mouth open. The best piece of advice I’ve heard for driving in New Zealand, which, to be fair, is good advice for driving anywhere in the world, is to assume that every other road-user is a moron and to always check what they’re actually doing, rather than what they should be doing. It’s your responsibility to drive well. 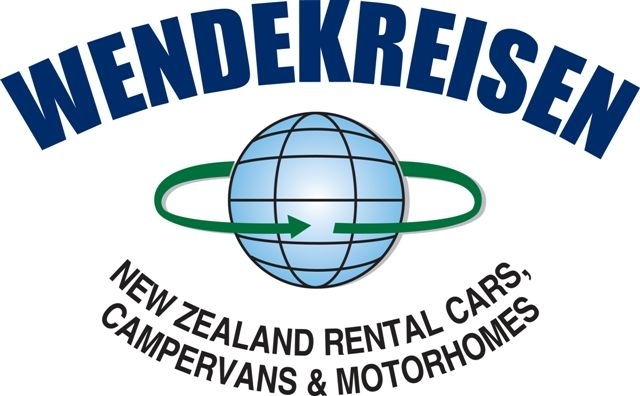 And don’t think you can come to New Zealand, hire a six berth campervan and drive it down a narrow, windy road without annoying the locals.